Choosing your boxing gloves is one of the most important yet hardest things to do when starting out in Boxing. So where do you even begin to start? With so many makes, weights and sizes, choosing boxing gloves could look as complicated as that algebra exam you had at school. We look at how to choose boxing gloves in a way that will suit your style, play to your strengths and provide you with those knockout punches. Like any product you can look online, read reviews and quickly come to a decision based on someone else’s experience, it’s the norm with internet shopping. Using this technique with boxing gloves could land you a cracking pair of gloves that your friends might admire, however they might be doing more harm than good, leaving you with risk of long term injuries. The stress and decisions about what boxing gloves to choose will be flying around your head quicker than one of Manny Pacquiao’s Jabs. Thankfully, we are here to break down all you need to know about the gloves size, weight, material and closure, to make your decision a lot easier.
. Do you prefer more or less padding? Outlining these basic points will give you a boost in narrowing down your search in finding the right boxing gloves for you. Boxing gloves don’t follow the traditional sizing guides, instead they are based on weight (oz). Each size has its own category which fits the type of build or fighter you are. 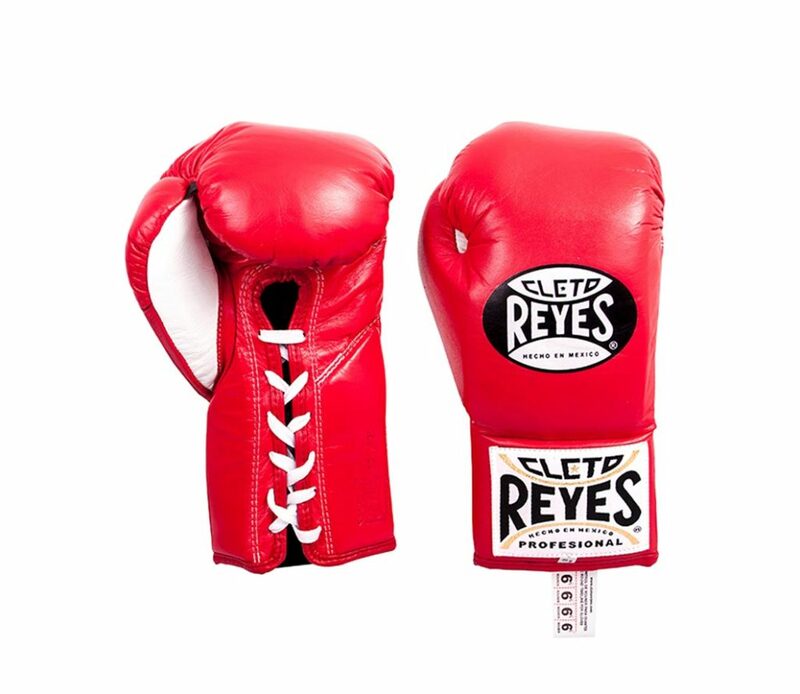 The size and weight of each boxing glove comes down to the amount of padding found inside. The more padding found inside, the heavier the glove will be, slowing down your punches. This means that the smaller build you are, the lighter gloves you will need and vice versa. That being said, you still wouldn’t want to be hit with any of them! We’ve broken down each weight category and paired them with the relevant persona. This will give you a better understanding of what might fit you before choosing boxing gloves. .18oz – Finally, these larger sparring gloves are for the most experienced boxers, although they are not often used by women. These stats are set as guidelines which will enable you to gain a better understanding of the sizes that suit each fighter. Another important thing to remember is that you should make sure your boxing gloves have detachable thumbs because these help prevent thumb injuries. Nobody likes feeling uncomfortable, especially when you have the punch the living daylights out of each other for 12 rounds whilst millions of fans tune in to watch, and no, we’re not talking about your weekend nights out! The material you choose has to feel right for you, considering it will impact your comfort and endurance of the gloves. 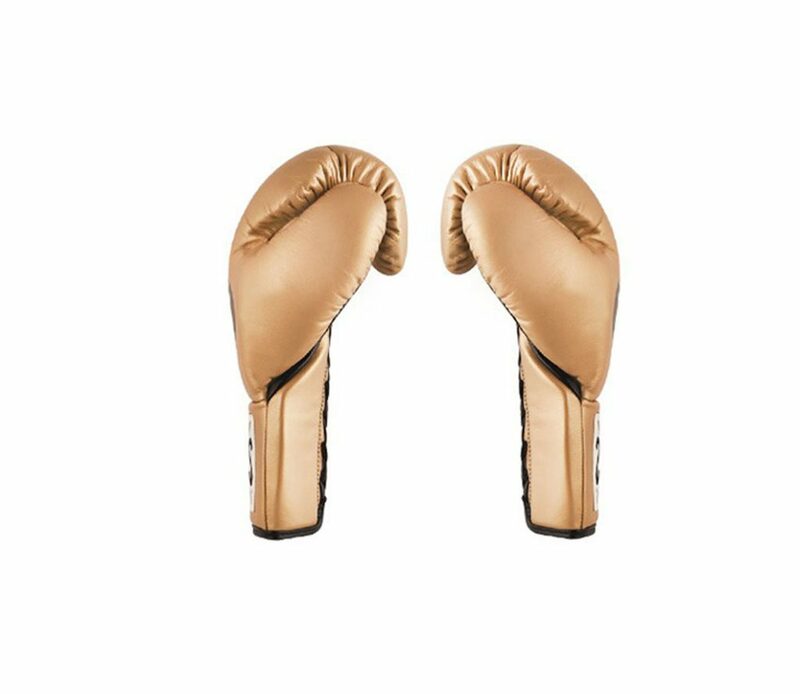 The most common material used in the industry for boxing gloves are leather and vinyl, but this might not mean they are suitable for you. Considered the basic range of gloves, the vinyl are often favourited by beginners looking for a cheap glove to help them progress. Although vinyl is considered to be one of the beginner level gloves, it isn’t recommended if you train regularly. Choosing vinyl boxing gloves over leather is like choosing a scooter over a Bentley. Sure, it will get you there but the ride along the way won’t be half as comfy or durable as the Bentley. If you are just looking for a solid pair of gloves that you can use for fitness, then these are what you’re looking for. Now we start to hit the more serious end. Polyurethane Leather looks like leather, smells like leather, but isn’t’ genuine leather, kinda like that ‘It looks like a Golf, but it’s not’ advert that Volkswagen created. Although it isn’t genuine, this material will last a lot longer than Vinyl, offering the durability and comfort that is found in real leather. This glove is perfect if you wanted to invest early in some solid starting gloves. You get what you pay for with these! Although they can set you back a cool £200+, the genuine leather glove is worth every penny. Built to last, these gloves mold to the shape of your hand over time, allowing for a more locked down fit. With any leather comes break in time. When you first buy a pair of leather shoes, you go through that painful stage of ‘breaking them in’ which is the same for these. However, if you stick to your guns and power through the break in, these gloves will go the full distance. You’re at the stage now where you should have a rough idea of what kind of glove to buy. 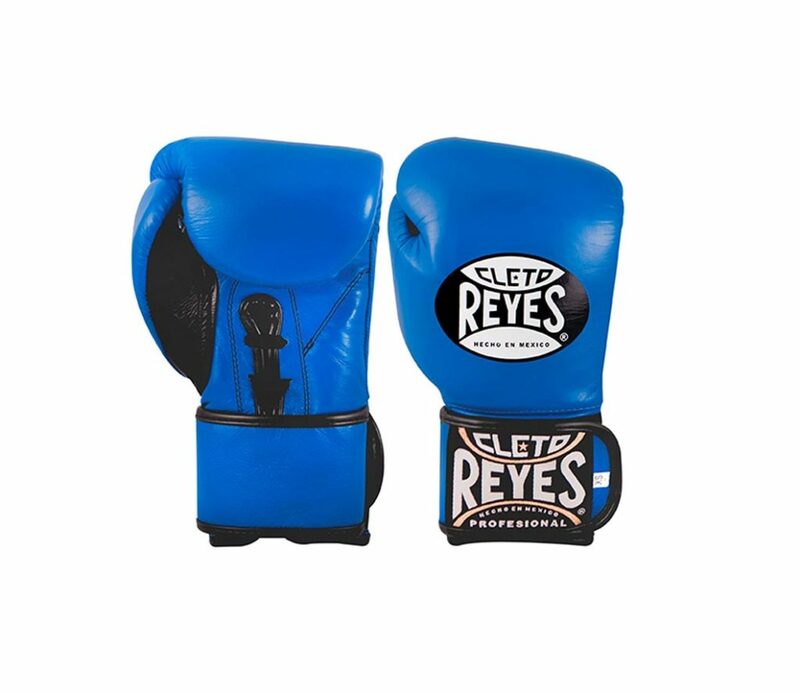 We’ve covered the size of boxing gloves, the material used and the key questions that you need to ask yourself before you even think of buying gloves. So what’s next? Boxing gloves are like any other sports product, take football boots for example. You can buy the most comfiest, stylish boots with the new groundbreaking material, but if the fit doesn’t cut it, then you’re gonna play as bad as a deer on ice. This is the same for boxing gloves. If the closure of the glove isn’t right for you, then you won’t be hitting the levels you want. There are two different types of closure in boxing gloves, laces or velcro. We’ve had this debate in our minds since a young age when choosing our shoes, are we ready for laces? Well it’s the same with boxing gloves, point providing pros and cons when fighting. Laced boxing gloves are often overlooked for training purposes because of one simple yet forgetful factor. You pop your first glove on and go to tie the laces, but suddenly realise you can’t tie them yourself, unless you’re a magician of some sort. This makes it harder to quickly throw them on and off during training, meaning you’ll have to wait patiently until your partner struggles to tie and untie the laces so you can take a sip of your drink that you desperately need. With Velcro you don’t have this issue- that’s why when training, velcro is the more sensible choice. Another con for the laced gloves are risk of injury to your partner. The end of the laces can become a sharp tool during a heavy sparring session, which could catch your partner. The only way to spare this is if you tape them down, which again, you’ll have to get your partner to do, can you see the pattern here? There are some positives for laced gloves however. If you are taking part in more full on sparring session then the tight, locked in fit will play strongly to your advantage. It’s best to ask your boxing trainer for advice about glove closures. 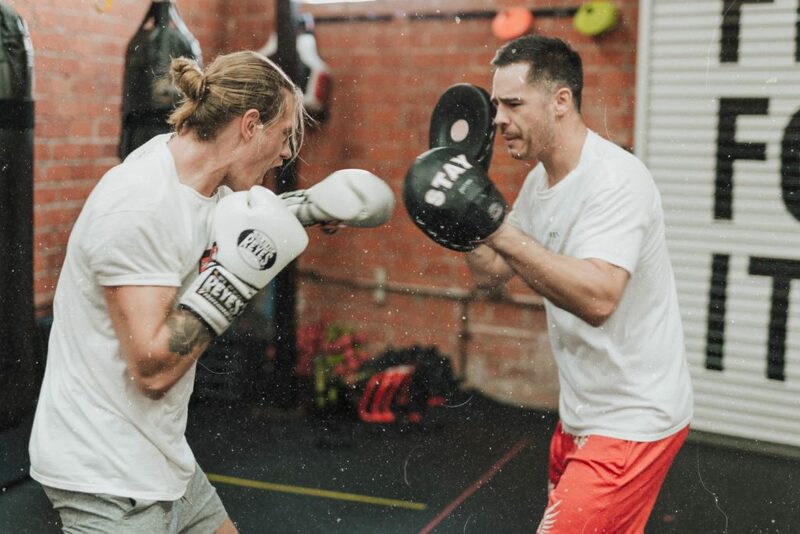 There’s also a well-known ritual within the boxing community whereby your trainer laces your gloves for you and, as he does so, advises you on your training schedule. We hope we’ve provided you with some useful tips to help you with choosing boxing gloves. 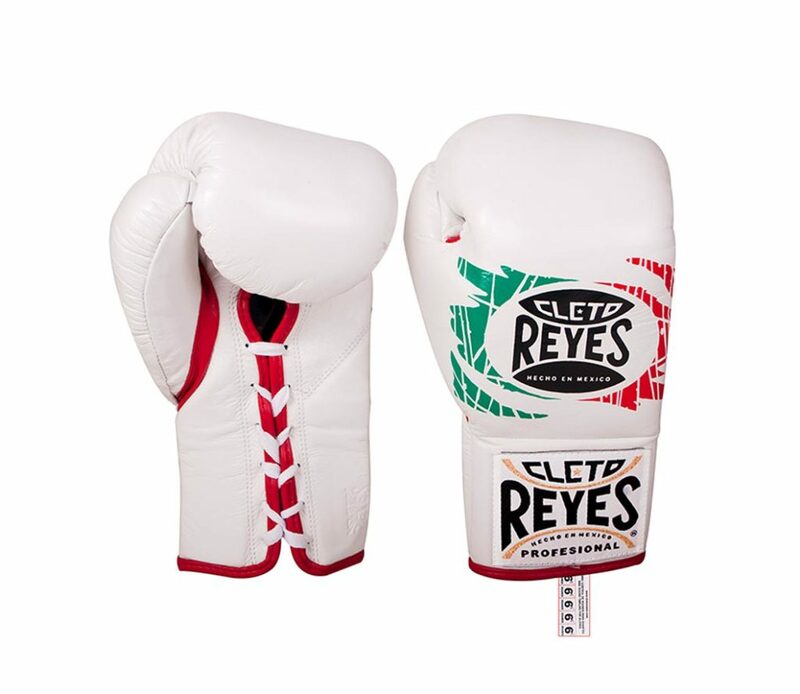 Browse our Cleto Reyes boxing gloves for more inspiration.